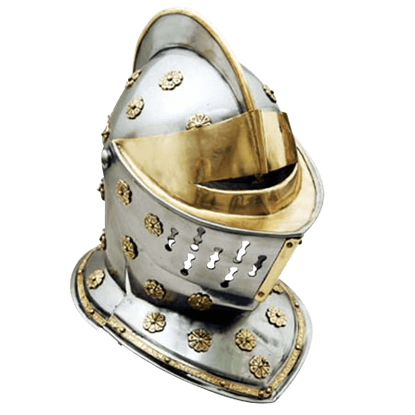 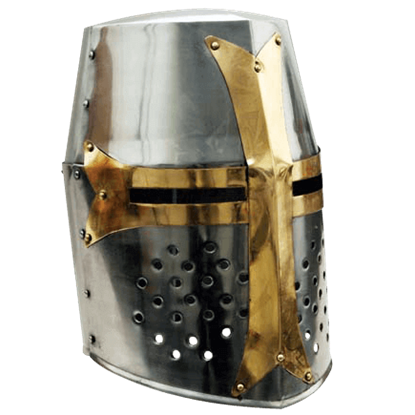 There is a reason why the great helmet of the High Middle Ages remains the choice helmet of warriors and reenactors today, and that is because great helmets, like this Steel Sugar Loaf Helmet, are both incredibly protective and iconic. 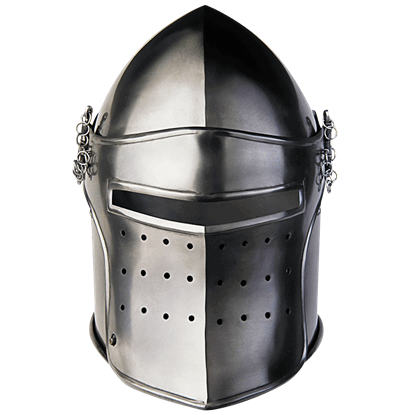 Encasing the entire head in a layer of steel, this helm possesses a raised peak, which gives it a shape similar to a sugar loaf (hence the name). 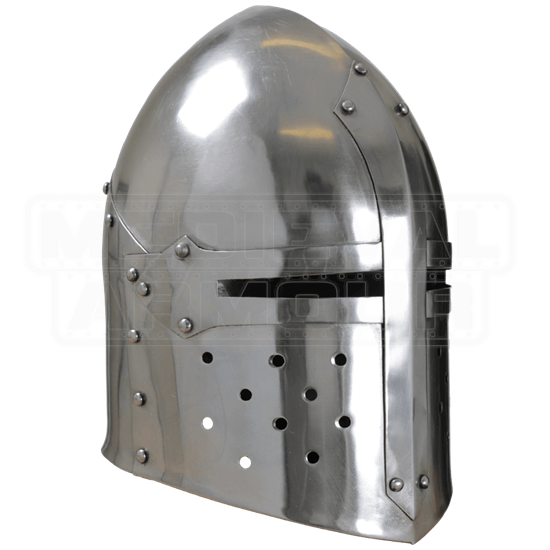 Its rounded shape protects against direct blows to the head, shifting force and impact down the sides. 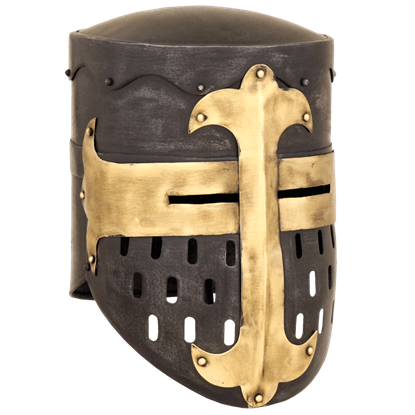 Two thin, rectangular slits allow the wearer to see out, while the small holes that dot the cheek plates increase airflow. 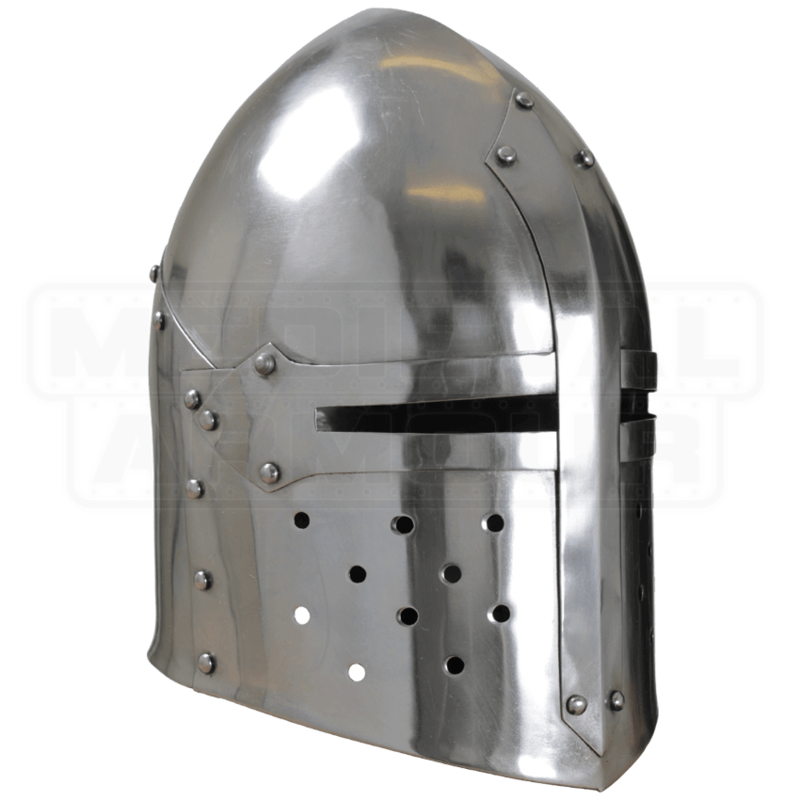 Crafted from 19-gauge mild steel, the helmet displays a polished steel finish and is lined with foam padding. 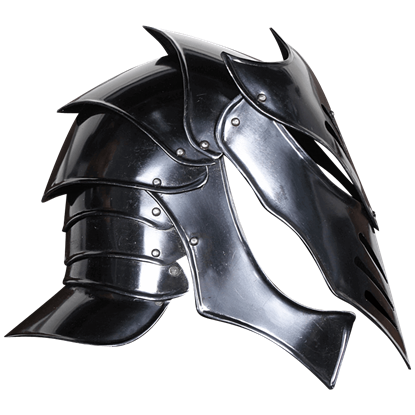 An adjustable buckle straps secures the helm at the chin.